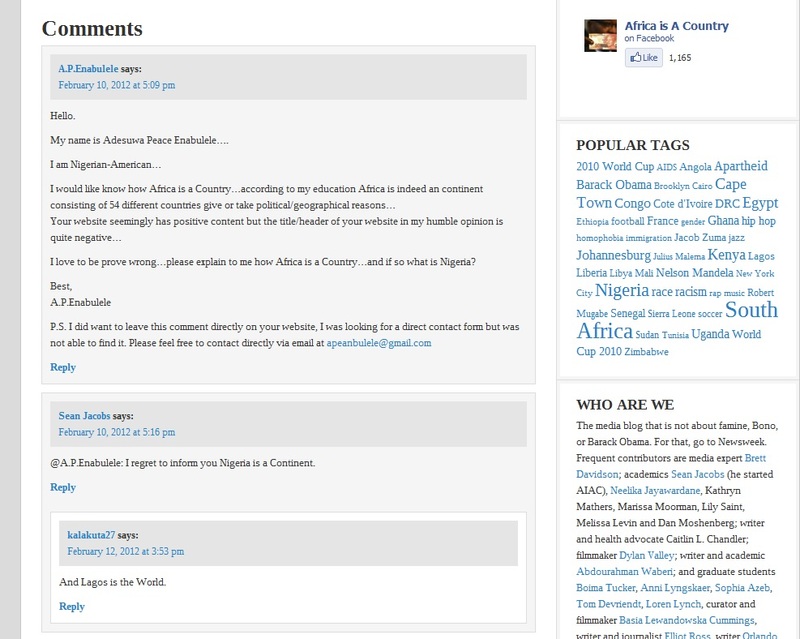 Mathoto tweeted a link to Africa is a country blog story of a South African Surfer dude. A seemingly overly serious man decided to comment on the article. 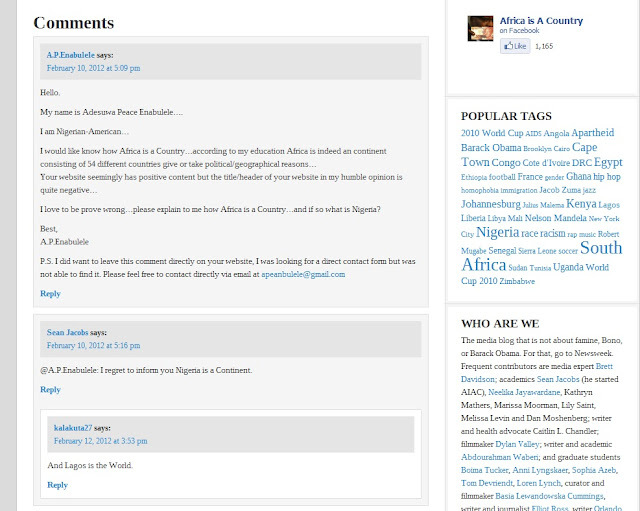 In his serious tone he corrects the blog site for saying that Africa is a country, and that it indeed is a continent. Followed by an amazingly amusing comment, which was the clincher to MAKING MY DAY!